Ice Skating in Gilbert and Chandler – You Bet! What are your chances of finding an ice skating rink in Phoenix? Probably the same odds as the Cardinals going to the Super Bowl, but they both came true. 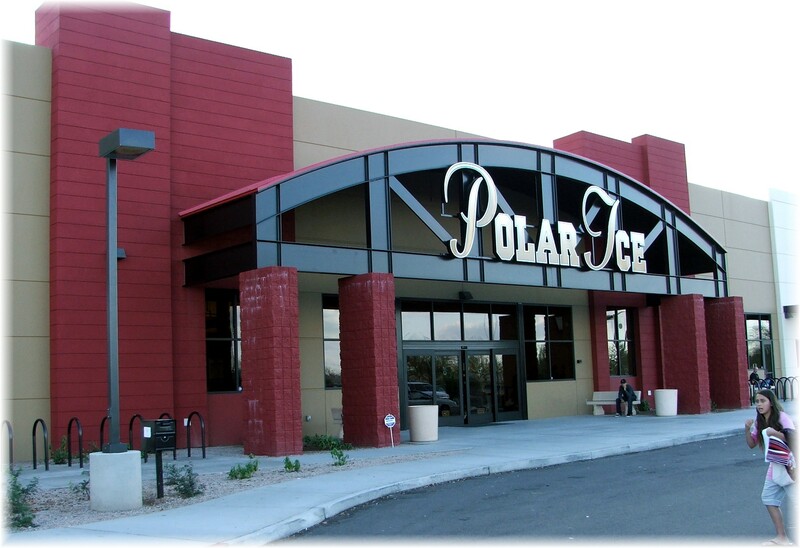 Polar Ice has facilities in Gilbert, Chandler and Peoria that offer public skating and hockey leagues. Since only a fraction of the population is from Arizona; the midwest transplants from Illinois, Minnesota, Wisconsin, Michigan, etc. now have a new bounce to their step. The 76,000 sq.ft. Polar Ice Gilbert facility was introduced to the public on Sept. 13, 2008. It is conveniently located near the 202 freeway at the north end of Crossroads Park at Greenfield and Knox. Satellite view of Polar Ice Gilbert In the development of the facility, environmental features such as low energy fluorescent lighting, skylights and a state of the art ice cooling system that cost over $120,000 have been incorporated into the design. The two rinks in the facility provide 17,000 sq.ft. of skating enjoyment. It is within a 5 mile radius of many lake and waterfront communities such as Val Vista Lakes, The Islands, WindDrift, Lago Estancia, Playa del Rey, and Crystal Point. 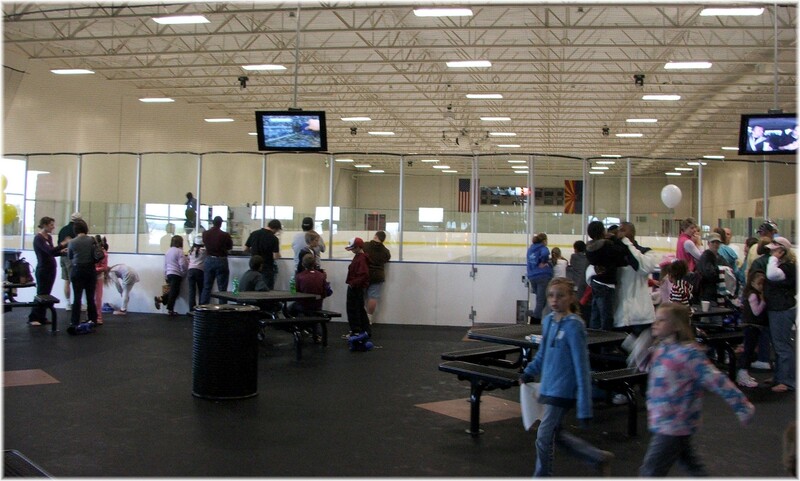 Polar Ice offers public skating, hockey leagues and classes offered through the Gilbert Parks and Recreations department. 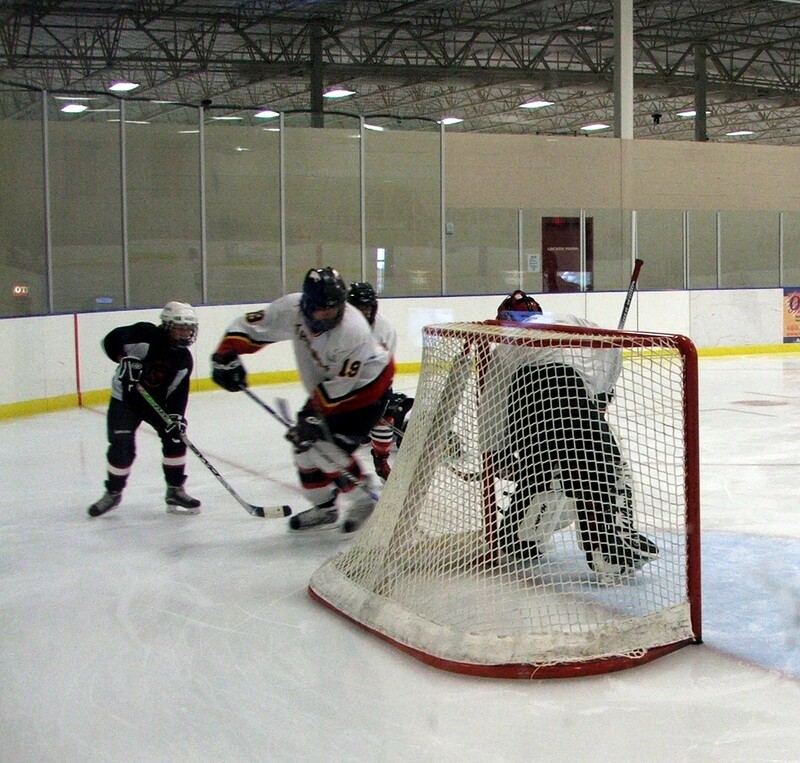 It also hosts games for the ASU Hockey clubs. Although it has been in the planning since 2002, and originally thought to be built in 2005, it is a welcome addition to Gilbert’s diverse amenity offerings.